The ChaseRace Team is founded by Uffe Egekvist, who is the inventor of the game. We are the first team on the platform and our goal is to become the first World Champion. Our focus is on building a group of top skilled drivers, and our collaboration with the Copenhagen driving school franchise is a way to achieve the vision. Team ChaseRace also supports a lot of fan activities around our team. 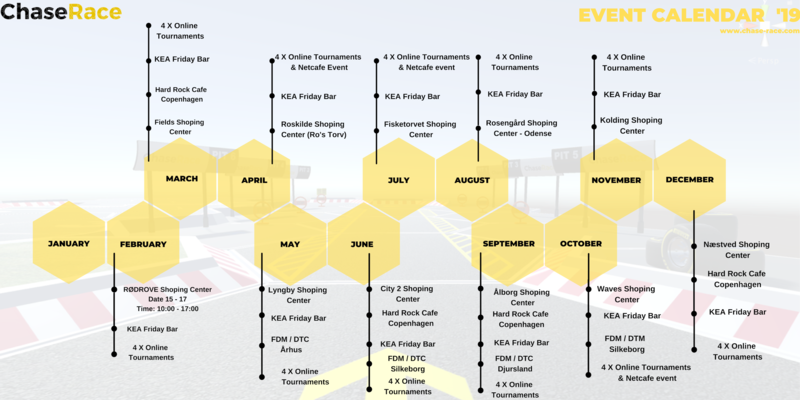 We arrange special tournaments for our fans with lots and lots of existing prizes. Welcome to the ChaseRace Team.